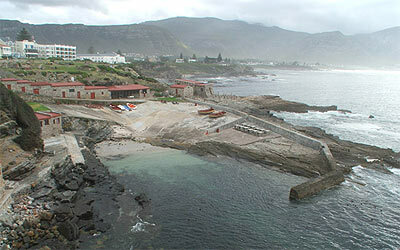 The Dutch Reform Sundayschool house was rebuilt on the Fishermen's Village in 1987 to house an exhibition of glass negatives of old Hermanus. In 1990 the first phase of the Allengenski Complex, that used to be the oldest building in the Harbour, was reconstructed and house the much needed toilet facilities. The CPA provided R 32 800.00 for this project. By the end of 1993 the second phase was completed and house the new offices. The previous office became unfit for habitation during the winter months. The CPA gave R 50 000.00 towards the erection of this building. The balance of R 25 000.00 was provided by the Friends and R 5 000.00 was taken from maintenance. An environmental forum was formed under the leadership of Mr Norris Snyders from Nature Conservation and during discussion he suggested building an environmental educational centre as an extention of the present indoor museum. Through the generosity of Sea Plant Welfare Trust we recieved R 30 000.00 which made this dream become a reality in February 1994.